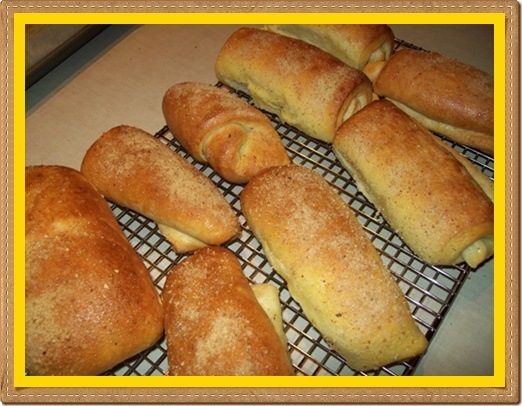 I had posted these photos in a bread forum early this year and had provided the link for the recipe. It’s from Cook’s Country (same company as Cook’s Illustrated). “Recipes that work” is the company’s slogan and that’s no exaggeration. Despite my stupid mistake, it did work and was a real sweet experience as well. Unlike most recipe sites that allow free access without joining or registering as a member, the Cook’s web site is available only to paying subscribers. 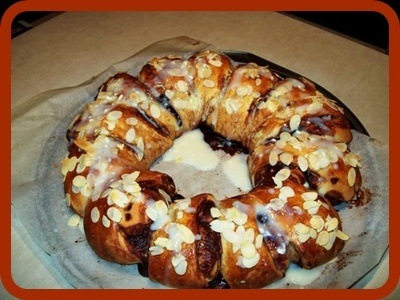 But for some reason, when I googled “chocolate almond ring coffee cake,” the recipe popped up. You can’t get it directly from the site, google will have to take you there. The recipe intimidated me and I wasn’t sure I could pull it off, seeing that I have little baking experience. One thing I learned in the kitchen though is if you take the time to sit down, read and re-read the instructions carefully and then visualize each step, chances are you could end up with a half decent concoction. 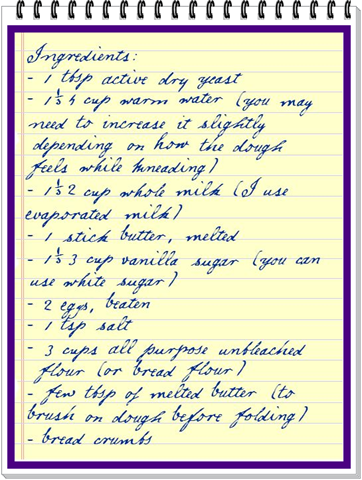 When I tried this recipe, I was a little short on concentration and my thinking was at the time…well…kind of sluggish. But because I ate marzipan (almond paste) when I was little, I was so excited to try this recipe; so excited that I forgot to put on my thinking cap. Worse, I even substituted one or two ingredients. The recipe called for semi-sweet chocolate squares that were supposed to be chopped and blended into the almond paste. My biggest mistake was to melt cocoa powder with milk and blending this with the paste, which of course, gave me a semi-liquid mixture instead of a solid one. Result? The chocolate was runny. Notice the chocolate oozing along the sides. When you have a runny dough, handling it resembles a calisthenics session. Those segments above should have been turned up (“standing up”) as Cook’s Illustrated instructed, but I could not turn them up because I was afraid the rest of the chocolate filling would spill out. I managed however to fill up my flattened dough with the chocolate and then roll it into a cylinder, after which I struggled to form it into a ring, cutting it into equal size slices. I was grateful for having been able to avert another kitchen disaster despite my error; the finished product turned out to be excellent. I even gave my next door neighbor some slices and she loved it. She asked, when are you making this again? Despite my mistake, I salvaged this chocolate almond ring coffee cake and it was a delight to the eyes and palate. I’ve got to hand it to Cook’s Illustrated. Their slogan – recipes that work – is well deserved. They should add a few more words to that slogan – “recipes that work even for people who change the ingredients”! Here’s a close-up of a section of the cake. It was gobbled up in less than 24 hours. If you want the recipe, do as I did. Ask google for “chocolate almond ring coffee cake.” If you don’t get it, email me at ques2008@gmail.com and I’ll be happy to send it to you. When purse strings are a bit tight and you’re less inclined to prepare family meals with ingredients that eat into your grocery budget, you look for recipes that are not just “quick and easy” but also nutritious. These types of recipes flood cyberspace and I’m sure that with some diligent research you can end up with a dozen to keep in your recipe files. Economic downturn or not, I’ve always had a fondness for short recipes; that is, I tend to go for meals that can be prepared with five to seven ingredients. I have a mild aversion to “kitchen gymnastics” where the recipe has several stages, along with complex steps that have to be followed with Olympic accuracy. Cooking is supposed to be fun so that when the meal is ready, you’re not too exhausted to enjoy it. I’ve come across recipes that read like the Guinness World of Records and demand herculean effort – they turn me off. I don’t want to use four different pans and half a dozen spoons and ladels just for one dish and tax my arms and elbows – only to find out hours later that the concoction collapsed because I happened to open the oven door just a tad. Goodbye. 1) Heat canola oil (you can use any kind of oil) on medium heat for 2 minutes. 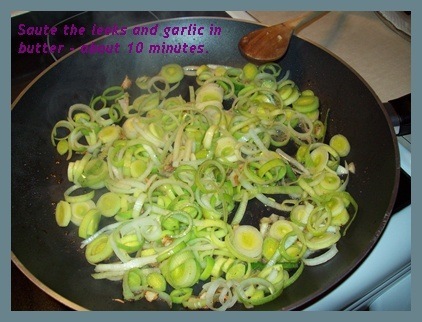 2) Saute your onions, garlic and tomatoes – about 2-3 minutes. Do not let garlic burn. 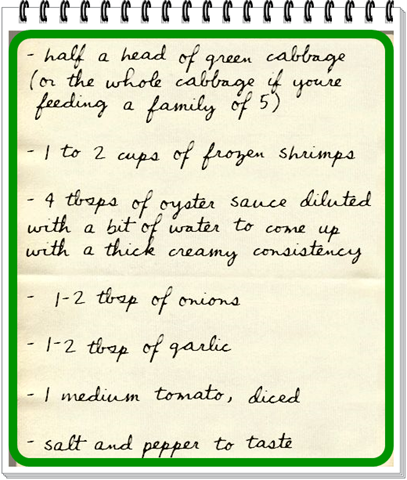 3) Add your shrimps. Continue to saute for another 1-2 minutes. 4) Then add the cabbage strips and mix well, making sure all the strips are cooked until tender to the bite, adding your oyster sauce at the same time. Mix and coat well (about 2-3 minutes). 5) Serve with white steamed rice! 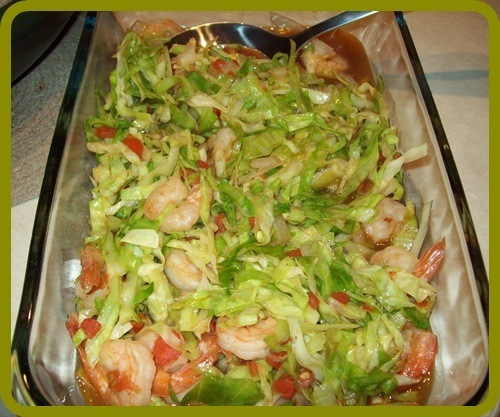 A few tips: (a) Cabbage cooks quickly (especially when they’re in strips) so make sure you don’t let them turn soggy. They should be crunchy, not tough. (b) You can thaw your frozen shrimps in the fridge overnight, or else rinse them under cold running water for 3-4 minutes. Set them aside until you’re ready to add them to the frying pan. (c) If your shrimps are large, you don’t need 2 cups. (d) As for the oyster sauce, I always dilute it with a bit of water until I reach a creamy consistency. Don’t put too much water, otherwise you’ll end up with a “liquidy” oyster sauce. (e) If you prefer tofu, buy the extra firm tofu and slice them into cubes. Fry them on high heat for the first 3-4 minutes, and then gradually decrease to medium heat. The idea is to have crisp, well-browned tofu cubes. When your cabbage is ready, the tofu is the last ingredient that you sprinkle over your cabbage. Cabbage nutrition facts: very low in saturated fats, a rich source of protein, vitamins A, B6 and C. Also contains magnesium, folate, potassium, calcium, thiamine, copper and other minerals. One way to earn the title of dynamic learner is to spend time in the kitchen and create what looks like a war zone -and still not give up. 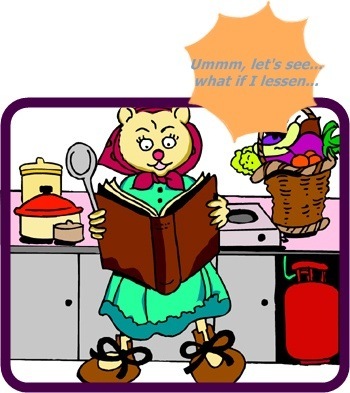 Another way is to NOT sit on your laurels and to continue experimenting, tweaking and maybe creating your own recipes. Tweaking comes second nature to me. As for experimenting – well – I hesitate…only because when economic conditions force you to be frugal and not waste ingredients, there is less of a desire to interfere with the recipe. Now for creating – I won’t even go there. I don’t have formal culinary training. That means I can’t possibly come up with an original recipe that the folks at Betty Crocker or Cook’s Illustrated would bother to read. One thing I can say though. Since I started learning bread baking from scratch, I have ventured beyond all purpose, whole wheat and bread flour. I’m also more discriminating. For example, instead of buying all purpose flour, I look for the unbleached variety (something I learned from lurking around bread forums). And when a recipe calls for all purpose but think bread flour would do better, I use bread flour. That’s what I mean by tweaking. One fine day I felt like experimenting with a different type of flour so I purchased organic stone ground spelt flour made by LaMilanaise, a Quebec mill. You won’t find it on supermarket shelves in Montreal but Loblaws has an organic section and they carry it. People who want to buy spelt flour and don’t have a Loblaws in their area would probably need to go a specialized bakery that sell it or order it online. In fact if you ask most supermarket personnel if they have spelt flour (or farine à épeutre in French), they’ll look at you as though you just planed in from Jupiter. The recipe on the spelt flour package was for muffins but I wanted to make spelt bread. So looked around the Web and found a really simple recipe by Rebecca Wood http://www.rwood.com/Recipes/Spelt_Bread.htm. Ms. Wood is a Julia Child Award Winning Cookbook Author. If you’ll look at the recipe on that link, there are no more than six ingredients. You can get the step-by-step procedure on the link above. There were three things I tweaked in this recipe: (a) I halved the ingredients; (b) instead of 45 minutes, I baked it for only 35 minutes; and (c) after 25 minutes, I reduced the oven temperature to 300 and baked it for another 10 minutes. 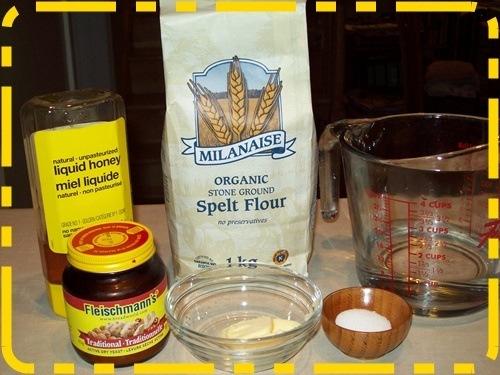 To me spelt flour is similar to the taste of whole wheat, but as most bread bakers say, spelt has that unique nutty flavor. Plus it’s a lot healthier. I put a few slices into the toaster oven the next morning and ate them with blueberry jam. Delicious! 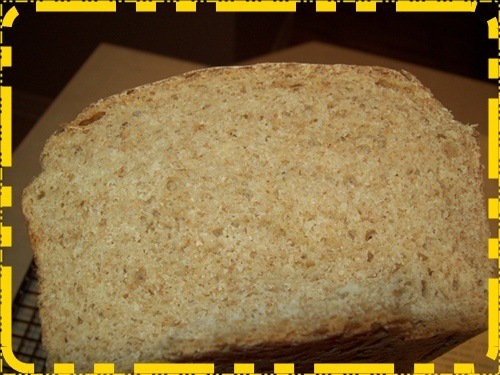 I wouldn’t slather peanut butter on spelt bread – you’d miss out on that nutty flavor. Take a bite and it’ll be love at first sight. This is the second time I’ve made these and the combination of vanilla sugar + evaporated milk caresses the taste buds like a smooth sponge. The texture was incredible, thanks to the stick of butter (although I used only 3/4 of the stick). I can’t explain why we call them Spanish bread back home. Given 300 years of Spanish rule, the country got introduced to this bread. We then took the recipe and tweaked it to come up with our own version (still calling it Spanish bread). There are other types of bread we got from the Spanish but this particular bread was a clear winner. It’s now part of our breakfast/snack repertory. 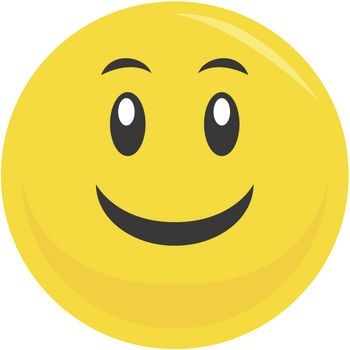 Like the smiley above, this is the kind of sentiment I have when I think of Spanish bread. Before I learned to make it, I would drive about half an hour to Côte des Neiges in Montreal – where the ethnic stores rub elbows with one another – and buy about a dozen. Now that I can make it, I must say that I think my version is much better! It deserves a grade of A++ for texture and taste. If my aunts and step mother tasted it, they’d be mighty proud of me (only because I was hopeless in the kitchen when I was younger). What I know is that the authentic Spanish bread – Pan de Horno – is made with olive oil. When in Spain, people go to a panadero to buy it. I’ve seen recipes for Pan de Horno but have not tried any of them. One day I will. I suspect that there are many Spanish bread varieties. If you went to a bread store in Puerto Rico for example and asked for Spanish bread, they’d have one for you right away but the recipe would be different from the one I use. I imagine it would be the same if you were in Panama, Venezuela or in England! I nurture an overwhelming fondness for the mildly sweet breads I ate back home: bread with coconut and sugar (we call them pan de coco), bread with raisins, bread with sweet red bean (mongo bread) and bread with purple yam (matamis na ube). But Spanish Bread is my numero uno favorite! It is this kinship with sweet breads that makes me unexcited about baguettes and the other crusty breads so loved in Europe and North America. If a French baguette and a sweet bread were dangled in front of me, I’d choose the sweet bread anytime – even if it doesn’t go well with a particular meal. 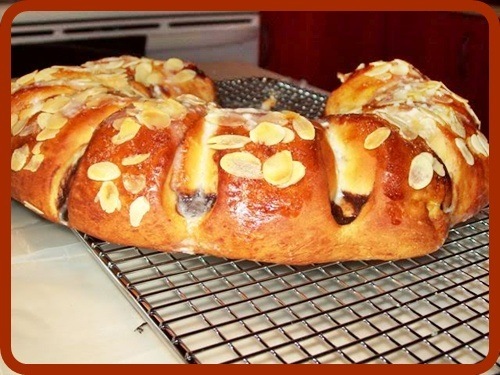 Years ago, I stocked up on Italian panetone because it reminded me so much of our sweet breads. I’ll share the recipe with you because I think your kids will enjoy it for breakfast or for a later afternoon snack. I use a recipe that calls for 3-31/2 cups of flour and depending on the size and shape you want, will yield from 9 to a dozen rolls. Because of its mild sweetness, you don’t need jam. Nor butter. It freezes well, by the way. I thaw some pieces the night before in the fridge. In the morning, I make a slit in the center of each roll before putting them in my toaster oven and heat them for 3-5 minutes, or until the breads turn a dark brown. The first bite – indescribable! Hope I’ve convinced you to give it a try. I promise – this bread is worth every ounce of effort! 1) Put yeast in warm water with a pinch of sugar and set aside (about 10 minutes). 2) In a separate bowl, combine the melted butter, milk, sugar, eggs and salt. Gradually add the flour and keep mixing with a spoon. 3) When dough comes away from the sides of the bowl, transfer it to a flat surface and knead for 8-10 minutes until the dough feels smooth and elastic. 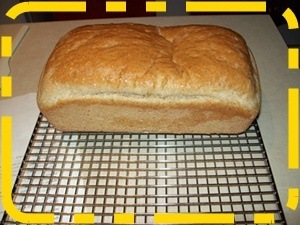 If your dough is wettish, add small amounts of flour, but don’t overdo it (your bread might end up too dry otherwise). 4) Form dough into a ball, place it in a slightly greased bowl and cover with saran wrap. It should double in size after 60-90 minutes. 5) While waiting for dough to rise, blend vanilla sugar and softened butter very well. This is what you will spread on each piece of dough before rolling it up. Set aside. 6) After the 60-90 minutes, punch down the dough and “massage” gently (to eliminate gas and air pockets) for about 3-4 minutes. Spread out into a rectangle or large square (you can also shape it into a big circle – whatever you like). Using a dough cutter, divide it into equal pieces (again, you choose which shape you want, round or square). 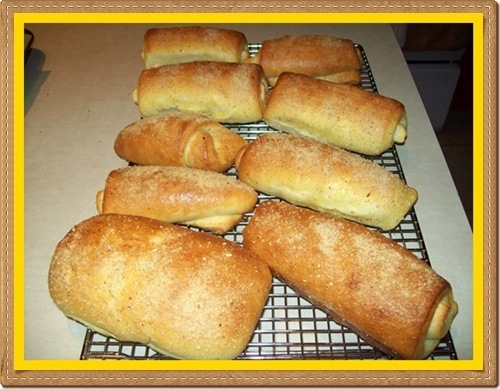 7) Spread some of the vanilla sugar/softened butter into each piece and then roll into a tube – about 2-1/2 inches in diameter – if you want the bread to look like the ones in the picture) or form them into balls. Place the pieces in a tray lined with parchment paper. Cover and let rest for 1 hour. The pieces will become bigger after 60 minutes. 6) Pre-heat oven to 375 degrees. In the meantime mix one egg yolk with 3 tbsp of 35% cream (forgot to add these in the ingredients list). Brush tops of breads. Let air dry and then brush again with the egg/cream mixture. Sprinkle the bread crumbs. 7) Bake for five minutes at 375 degrees. Then decrease oven temperature to 325 degrees. After 10 minutes, reduce further to 300 degrees (by this time the tops of the bread should be turning a nice golden brown). If you think they’re getting too dark, cover them with aluminum foil. Total baking time should not exceed 25 minutes. Once out of the oven, transfer into a cooling rack. You can freeze what you won’t eat in the next 2 days. If you care to, let me know if you like this bread as much as I do! When I joined WordPress and filled out the "About" section, I made the mistake of saying that this blog was all about food and everything related to food. At that time, I didn’t think I would be talking about wine because I’m neither a wine lover nor a social drinker. Oh sure, I’d have the occasional chilled glass of Sangria with my meals but that’s as far as I go. Travelling to Niagara Falls last week with my brother, I thought about the mysteries and joys of ice wine as I absent-mindedly read the road signs announcing wineries in the region and their ice wine specialties. Ice wine is popular in Quebec. It’s also very expensive – the cheapest bottle available in any SAQ outlet is about $26.00 (the SAQ is the Société des alcools – the province’s liquor commission). That’s a slim-size bottle. 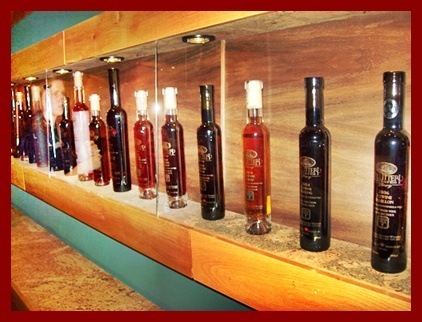 But to keep an open mind, I decided this trip was a good time as any to find out all about ice wine. At the hotel, a tour agent was taking reservations for their five-hour wine tour in Niagara-on-the-Lake. It would include three sample tastings for each visit : red, white and ice wine. The tour took us to three wineries. Their brochure said "experience three world class wineries" – Inniskillin Estates Winery, Pillitteri Estates Winery and the Reif Estates Winery. The brochure also mentioned that while visiting the Pillitteri winery, we’d get a chance to go down to the "dungeons" and look at those famous aging barrels. We had a charming and very knowledgeable tour guide. She warmly welcomed us at the lobby, proudly showing off the awards and citations received by Pillitteri (it has won more than 450 international and domestic medals). They take pride in their ice wines and they also produce full bodied reds and whites as well as Shiraz. It was here that I learned why ice wine fetches a steep price. The VQA is Ontario’s wine watchdog. The VQA seal means that the estate uses only the best quality grapes grown in the province; Niagara is blessed with a temperate climate and benefits from the glacial soils nurtured by the Great Lakes. Canada’s wine industry spans 200 years. Below are some of the ice wines produced by Pillitteri which delicately stand on an enclosed glass shelf. ice wine started in Germany in 1794.
harvesting the grapes for making ice wine should be done on a cold winter night when the temperature is between minus 10 and minus 13 Celsius and the grapes are completely frozen on the vine. frozen grapes have a high sugar concentration. one frozen grape yields only one drop of ice wine. taste: intensely sweet and highly concentrated. You can detect subtle tastes of lychees, mangoes, peaches, and sometimes caramel. the first Canadian ice wine appeared in 1973. It was made by Walter Hainle who later established the Hainle Vineyards in 1978, producing the first commercially available Canadian ice wine. when serving ice wine to guests, serve it in small wine glasses – the "bar lady" at the Inniskillin winery suggested no more than the equivalent of about 6-8 tablespoons. Ice wine goes best with very sweet desserts. If you find yourself in the Niagara region, I recommend you take a wine tour or drive to three or four wineries in one afternoon. 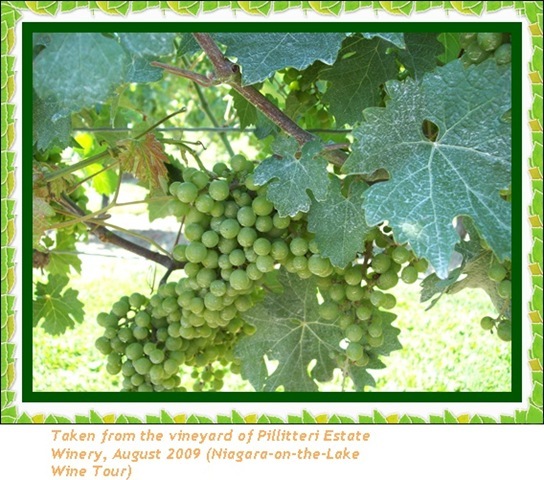 The wineries are the pride and joy of Ontario’s Niagara and it is a big deal hereabouts (British Columbia, Nova Scotia and Quebec also produce some of the best ice wines in the country). If you call ahead, some wineries serve lunch with wine pairings, and your hosts are guaranteed to be the friendliest you could ever meet. I experienced pangs of jealousy when the jalousie recipe I made a couple of months ago didn’t turn out to be as “handsome” as the one in the book. This pastry-jalousie recipe is taken from The World Encyclopedia of Cheese by Juliet Harbutt and Roz Danny (2002, ISBN: 0-7548-0992-7). If you’re expecting hungry visitors and you want to “fill em up” with a homemade concoction, this will work well as it allows you to do other things (like tidy up the patio and arrange some flowers) while it bakes in the oven. 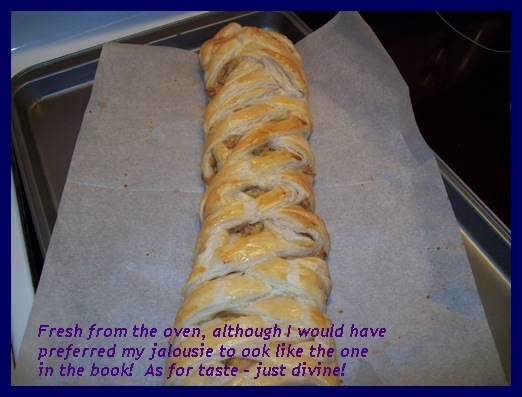 Although I wasn’t too thrilled with the physical appearance – blame it on my faulty braiding – this pastry jalousie over-delivered in terms of taste. I was delighted with how the leeks, cream cheese and ham came together as an incredibly tasteful mixture(bang for your discriminating taste buds). The recipe called for chicken, but ham can be substituted for the chicken. Make it, maybe yours will come out much better than mine! 1. 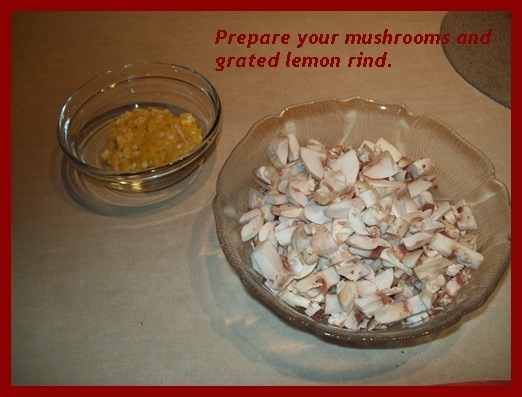 Cube or chop your ham, slice your mushrooms and prepare your lemon rind. Set aside. 2. Saute the leeks and garlic in butter – about 10 minutes. Then add your mushrooms and cook for 5 minutes. Allow to cool. 3. Add the cream cheese, lemon rind, parsley salt and pepper. When mixture is cold, add your ham. 4. 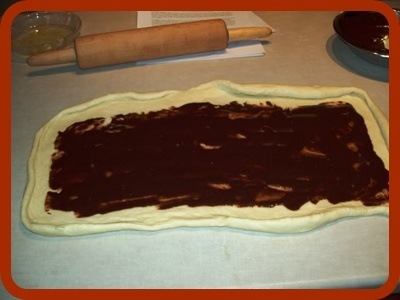 Roll out your pastry one on top of the other and knead into a large rectangle (about 14 x 10 inches). Transfer your pastry into a non-stick baking sheet, or cushion with parchment paper. 5. Spoon the filling into the center of the pastry, leaving 4 inches on each side (this is to allow you to make the 1-inch cuts in preparation for the braiding). 6. Make diagonal cuts along the side of the pastry and then take each cut and fold it over the pastry, alternating left and right. (At this point you can pre-heat oven to 400 F). 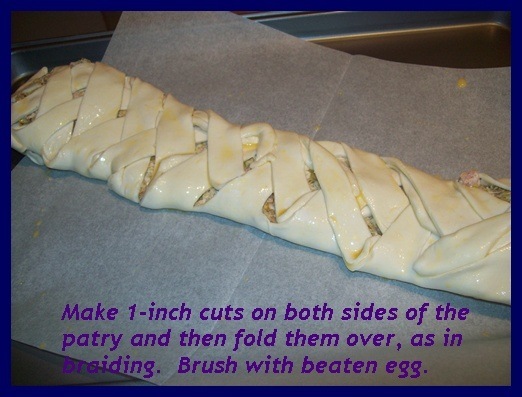 When you’ve covered the entire filling and folded over the last cut, brush the pastry with egg. 7. Bake your pastry for 15 minutes. Lower oven temperature to 375 F and bake for another 15 minutes. Your pastry should be ready when it has turned a golden rich brown. Leave it on the baking sheet for 10 minutes before sliding it into a serving platter. Garnish with parsley or your favorite herb. Keeps well in the fridge for next day leftovers, the flavor becoming more intense. Definitely a “you can’t go wrong” dish. You’ll want to do it again after the first try, especially if you’re the type who wants to do a perfect braid like me! The Italians have their pasta; the Asians have their noodles. I’ve eaten in a lot of cafeterias in the US and Canada but the ones that left an impression were the World Bank/IMF cafeterias as well as the cafeteria of the company I used to work for. The chef (I think we pirated him from the Italian restaurant next door) would regal us with his pasta dishes, and I was taken in by his aglio e oglio. To make my day, my colleagues would simply say, “guess what’s on the menu today?” They knew I’d be the first in line for the aglio e oglio. When I left the company, I had to learn to make it. I thought the learning curve for making this dish would be steep, but I was pleasantly surprised because it’s one of the easiest – and quickest – dishes to make! I eat it once a week. Someone once called it the poor man’s spaghetti, a pasta dish that started in a small impoverished town called Abruzzo in Italy (I did not verify this). Poor man or not, it sure is a palate pleaser. There’s nothing poor about aglio e oglio. The flavor is rich. People who love the combination of fresh garlic, a good cheese and olive oil will include it as a permanent feature in their recipe box. 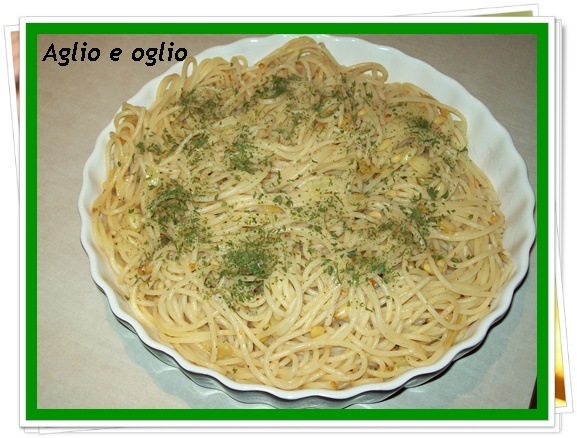 I make mine with onions, pine nuts, garlic, olive oil, grated parmesan cheese and dried parsley. After eating, I end up with the foulest breath that remains for more than a day. So if you’re going out on a special date, wait until you’re back! spaghettini (you can use linguine or regular spaghetti – I won’t say how much you should cook because I’m sure you know how much to make. In fact after making this dish a few times, you don’t even have to measure quantities). Then when the mood strikes me, I leave Italy and head for Manila. 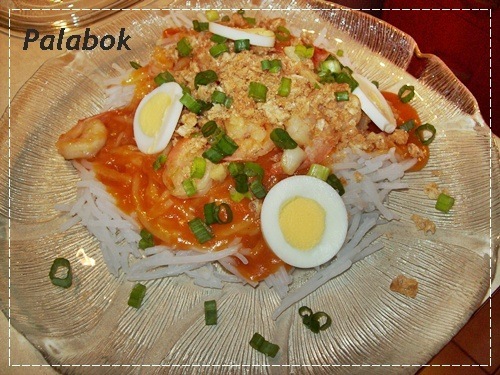 We have several noodle types, but I have a weakness for palabok – long white noodles that are showered with a shrimp sauce and topped with shrimps, hard-boiled eggs, green onions, pork cracklings (optional). Right before serving, squirt a few drops from a fresh lemon (or fish sauce – brine). Cooking from scratch is a culinary virtue that deserves praise. For my palabok, however, I’ve come to trust the White Kind brand. Their boxed versions are not bad. Sometimes I get the feeling that their packaged meals taste better than mine! I featured another White King product when I blogged about Asian muffins (rice cakes) here: https://sotsil.wordpress.com/2009/05/06/rice-cakes-asian-muffins/. Not many Oriental groceries sell palabok noodles which are distinctly different from rice vermicelli or Japanese udon. You can use bihon – another type of noodle sold in most stores. 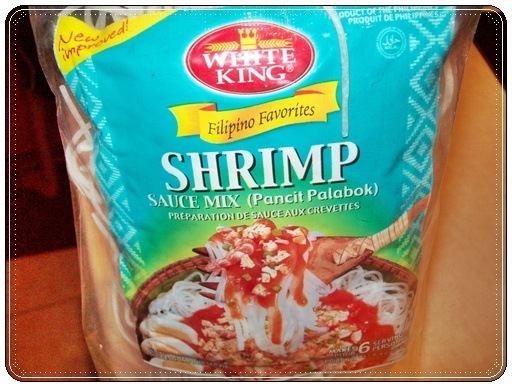 Your best bet, though, is to go with the White King package because they contain the genuine palabok noodles. Follow the directions at the back of the label. Don’t worry, it’s easy. The only fresh ingredients you need are shrimps (frozen will do too), eggs, and green onions. Sorry, these don’t come with the box! This is what the package looks like. Pasta and noodles are true comfort foods; what would life in North America be without them?